Champions in Action provides a year of soccer and mentorship to at-risk youth. Specifically, we target those most susceptible to gang participation, drug and alcohol abuse, and violence. With over 15 camps under our belt, we have witnessed the power of this life-changing experience time after time in the lives of youth. Over 1,000 youth have surrendered their lives to Christ and hundreds have chosen to be baptized at the camp. The annual soccer camps are the signature program for Champions youth. The camps provide intense soccer training and competition, high-level coaching in the area of soccer, but they are also an important opportunity to establish a strong and lasting connection between the mentors and youth. The players spend almost every second from early Sunday morning until Friday nights with their team, their mentors and their US volunteers. The purpose of the camps is to establish a long-term mentoring relationship that will set the youth on a better path with a brighter future. Camps allow for the start of something great in these youth as they get a full week away from any problems they may be going through at home and get to spend their time playing soccer and diving into God’s word with their peers. Camps are a fun time for the youth, full of competition and cheers, but they are also very important in the development of a personal relationship with God. It is a time to build a substantial bond between team members and mentors who will stay alongside them during their walk with God. Using soccer as the medium shows the players that following God is not only an important decision, but central to the purpose of their lives. About 1,500 kids have come through our camps over the past 6 years. Every kid receives 100 hours of mentoring at camp alone. There are 4 hours of intensive worship, chapel and devotion time between the mentors and the youth. For most children, the Champions in Action soccer leagues are their first and only opportunity to compete formally in an organized league. The Champions in Action leagues have been an important platform for mentors to impact kids’ lives. Our leagues currently include 32 teams, are bi- weekly and are the 1st and 3rd weekend of every month. 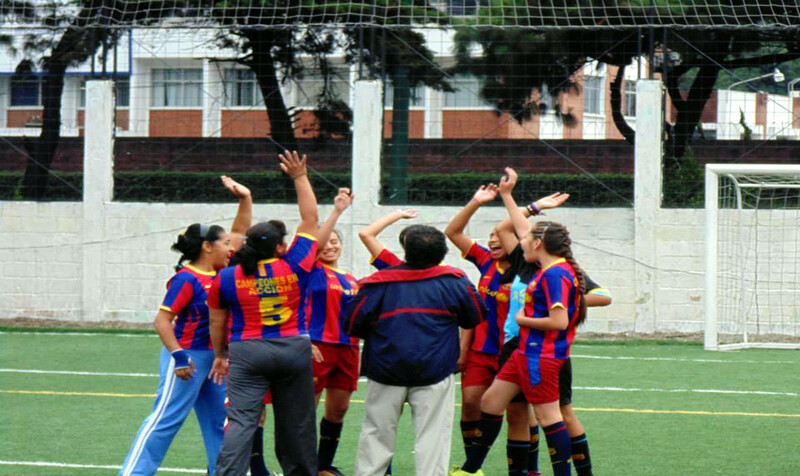 The purpose of the leagues is to reach a larger group of Guatemalan youth. Leagues allow Champions in Action to expand its area of influence, being able to reach a greater number of young people with the Gospel of Jesus Christ. Over 300+ kids are currently reached during through the league. These leagues are another way to reach out to the youth as mentors hold a devotional before every game. The kids are provided with bananas, juice and a snack as an incentive. The leagues are important to our overall vision because they give the kids an opportunity to put into practice the skills and values they are being taught on and off of the field. 30 teams participate in the league as of the end of 2016. All 20 of the teams who attended camp in 2016 are continuing with the program and league. 10 additional teams, in the older age group, consist of Champions in Action groups from previous years and a new group wanting to participate in the Champions in Action programming. On league days, teams of youth receive, on average, an additional 5 hours with their mentors. Mentors are the most important factor in the Champions in Action’s vision. Champions in Action wants to ensure that the men and women put in charge of helping these young soccer players through their walk with God are equipped to do so. 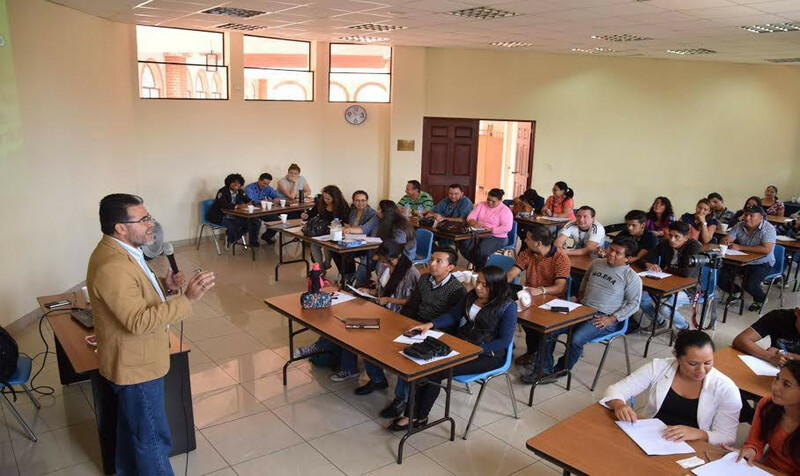 Mentoring school allows these men and women to train in God’s word, enabling them with the knowledge and skills necessary to develop the vision of Champions in Action through training, education and influence for youth in high-risk areas of Guatemala City. The mentors chosen for this responsibility live in the same communities as their teams so that they are readily available and better understand the circumstances in which the teams live. Mentoring school consists of a study syllabus with specific themes about soccer, leadership, teaching, and effective communication. There are monthly training seminars with follow-up, where mentors are trained with principles, psychological tools, Christian doctrines and leadership tools. Mentors participate in two annual retreats to strengthen their formation and to reinforce their relation with their group of influence. Champions in Action not only cares about the welfare of children but also of its mentors. 40 mentors attend the mentor academy each month. Mentors receive a minimum of 3 hours of training each month in a variety of topics to prepare them for working with the youth. In 2016, 36 mentors also completed an intensive coaches training course. The academies are designed to facilitate the transformation of at-risk youth through the regular points of interaction and intentional teaching. Mentors implement what they are learning in the Mentor Academy, preparing their kids for the league matches every other week but more importantly to Coach them for life. The goal of the practices is to form a strong connection with the soccer players through training and teachings that will transform their lives. 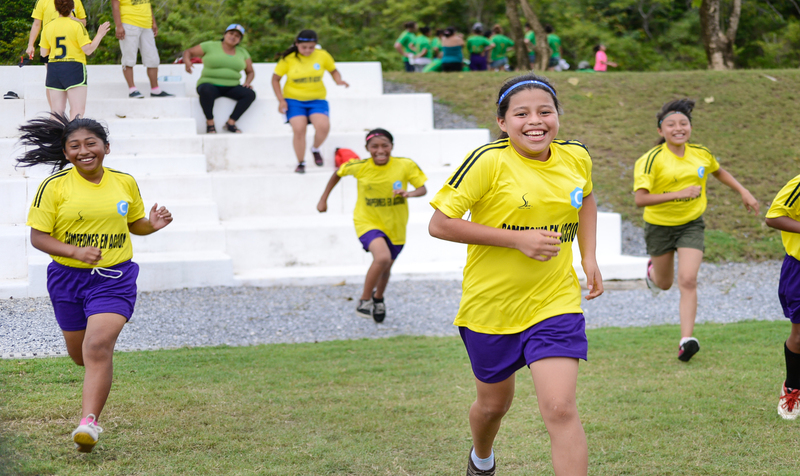 Soccer is a Guatemalan passion, which makes it a perfect way to connect with the youth and build relationships. The soccer practices provide access for the youth from communities at risk to a mentor, to guide them in areas that will allow them to have an integral development including academic, spiritual, soccer and health. Soccer can be used to train the youth in both soccer and life skills, develop their physical condition and teamwork ability, and to develop their leadership and commitment living under Christian principles, monitored by their mentors. Over 72% of the youth who attended camp are attending the academy sessions with their mentors each week. On average, mentors invest 15.7 hours per month during the week with the kids.